I hadn’t planned to work up THIS much of an appetite, but I was crossing London on the evening of a Tube strike. Having lived there for some years, I thought I was being pretty cunning by circumventing the main post-work scrums, but when the bus driver on the route you’re taking just tells everyone to get off for no reason, well, you can’t legislate for that. 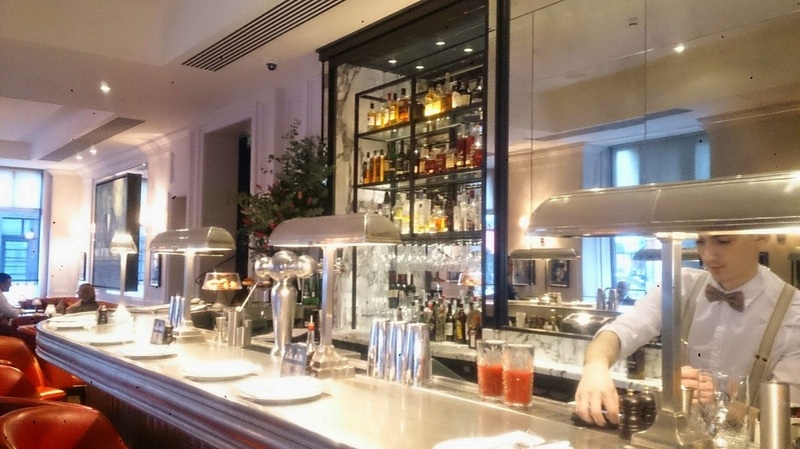 So I take a 20 minute stroll on an otherwise golden London evening, and arrive a little later, a little warmer and a LOT hungrier than I’d imagined as I weave through the Marylebone Hotel to its much-touted dining room. 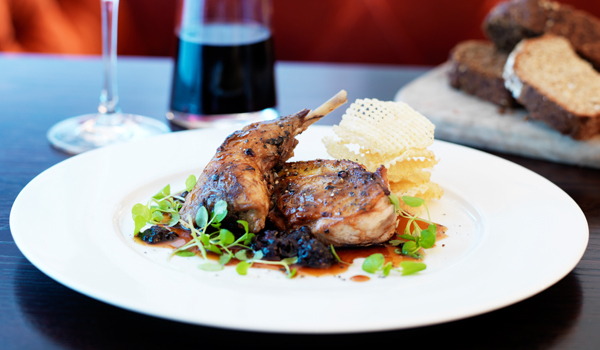 You never know what you’re going to get when you go and dine at restaurants in, owned by or next to hotels. That whole section of their clientele that will probably never come back no matter how good it is means that a lot of them throw caution to the wind in the most astonishing ways, though usually the checks and balances of having to survive with regular local diners means that the weirdest excesses are reined in some. 108 seems to navigate that awkward elegant/pretentious canal pretty confidently, though, at least on first impressions. My friend is snarled up in bus limbo, and they’re happy to let me wait in the bar, glass of bubbles and dish of small salty carbs brought without delay. Maybe the London contingent is larger tonight because people are dining and drinking through the worst of the transport SNAFU, but the place seems to have a healthy local following. Friend arrives, somewhat bedraggled, but is allowed to comport herself and order a drink before we’re escorted to our table, right at the far end of the room, backs against the wall so as to foil any would-be assassins. Like Mafia bosses. We’re immediately charmed into an introductory bread board by the waiter, whose accent we can’t quite place (but turns out to be something like Swiss-Spanish-Scandinvian, perfect for a central London gaff). We mainly agreed because it comes with Guinness Bread. 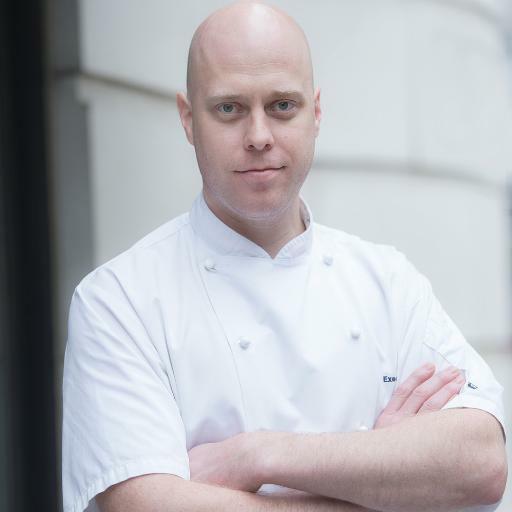 The Marylebone Hotel is part of the Doyle Collection, and chef Russell Ford has no qualms about peppering some assured Irish flair across all sections of the menu. That said, even the starters selection is a tour de force of tasty, British culinary nooks, from Balmoral venison to Dorset crab to Argylshire salmon. 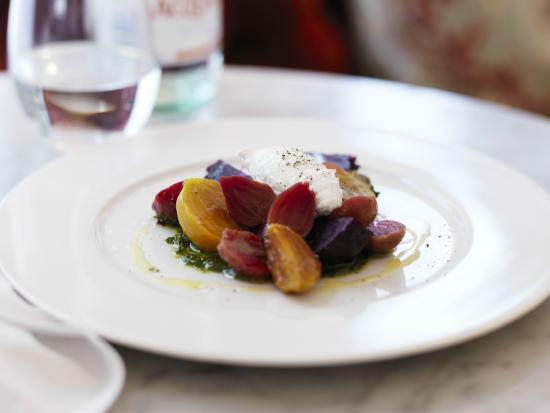 Our beet salad (one of a few shared starters) comes with lashings of goats’ cheese and pesto. “It’s good if you don’t like beets that much,” says my friend. “Yes but then why would you order beet salad?” I ask her. We don’t come to any conclusions but vacuum up the plate. Mains arrive (backed by a nicely tropical, server-recommended Dashwood Sauvignon Blanc from New Zealand) to the tune of a veggie risotto and a cod dish with samphire new potatoes. The food has clean, easy-to-appreciate, fresh tastes. It’s unfussy, presented with style but no unnecessary pomp. The surroundings are worth a mention. We can skip the weird Spanish couple who sat down at the same time as us at the next table and spent the ENTIRE THREE COURSE MEAL glued to their phones and not talking to each other – like a virtual prison visit or something. That’s just circumstantial. The wall art is evocative, though – some arty and pretty saucy black and white photography, including some steamy snaps of a couple called Jean-Claude (van Damme?) and Lola. It’s an almost subliminal touch to an otherwise upright establishment, and it’s kind of great. Pudding – brown bread ice cream – is chased with a couple of glasses from the restaurants impressive whiskey list, and with that, we’re off to summon an Uber car, given that every bus from here to Dalston was probably still packed to the gills. Walking off that Guinness bread was probably a good idea, mind.